First of allThank you for the help of all Malware Reaearcher for helping to proof this case as a false positive, your cooperation is greatly appreciated. Thank you for the AV makers for your response in correcting the scan result for this false positive. 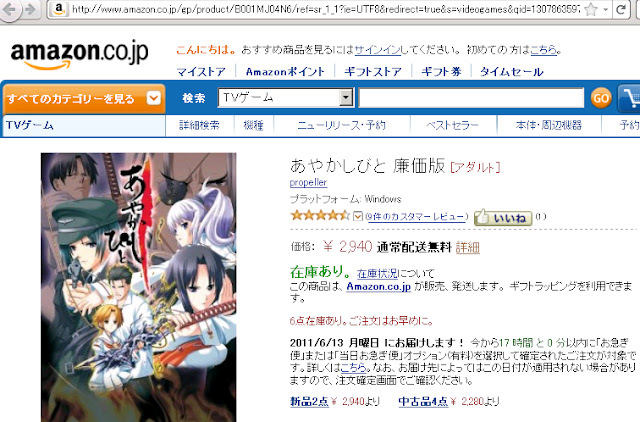 There are so many False Positive for the Japanese Softwares specially regarding to the Japanese game softwares. This time I would like to make complete report of the false positive for the AV makers to be carefully check the sample before judging an innocent game as malware, specially Japanese software. I do the best I can to make this report can be used for the reference by all Malware Researcher for the False Positive analysis. 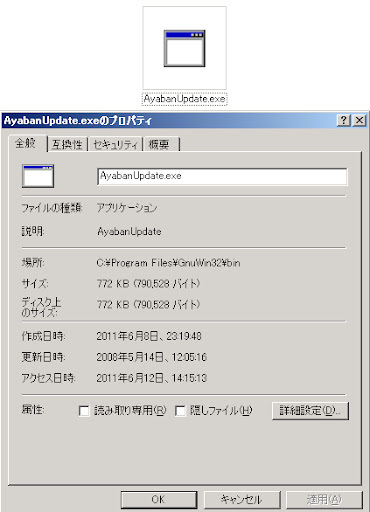 The japanese animation game "Ayakashibito/Ayaban" or "Ayakashiban"'s PC version update/patch function was detected as false positive by the multiple Anti Virus vendors as Trojan/Malware. 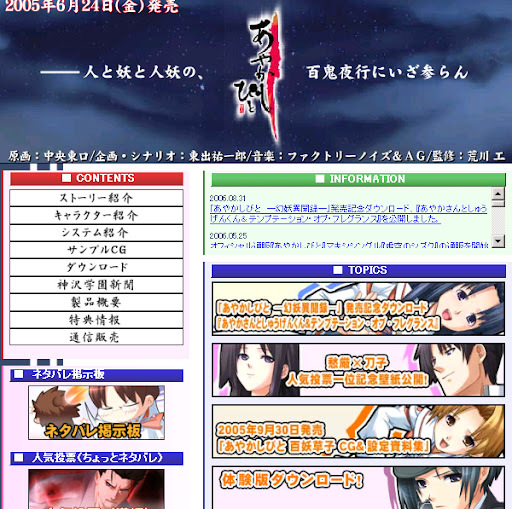 The software is the animation game with the market of the adults, with having few network activities for playing it. 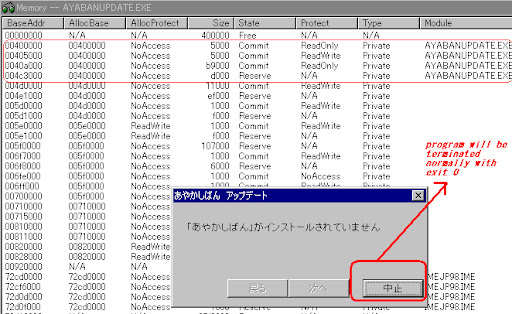 The trigger of this false positive is based on 1) the PACKER used by the update file which is meant to make the small size of the installer/setup (causing the CRC counting is different, and so on..) and 2) the software is in Japanese so no one can see the popup message well.. Therefore I hereby making the full analysis on it. **) Additional: Due to this misjudged as "malware" URL sample was deleted from server. The above malware info was wrong, since this is a goodware indeed, by this report I ask to AV makers to remove the FP detection of the current sample.Furthermore, I was having contact with the maker of software and was asked to help to clarify this matter. 1. Analyzing the suspected malware "AyabanUpdate.exe"
propeller-game.net. 3600 IN NS nsas4.firstserver.ne.jp. 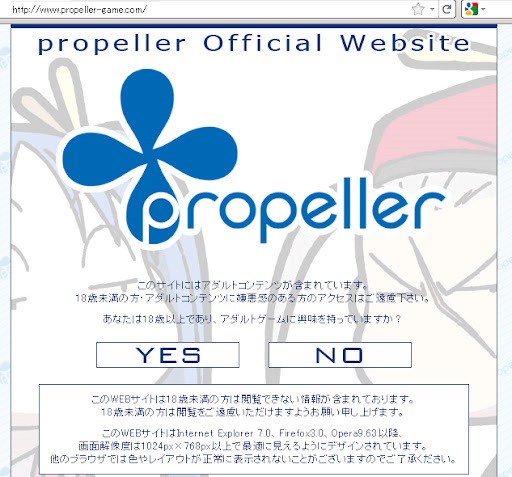 propeller-game.net. 3600 IN NS nsas3.firstserver.ne.jp. *) According to the file analysis above the CRC check looks different because the the packer. The software maker want to make a small size as possible for this patch, also they put some protection to the code..
2. 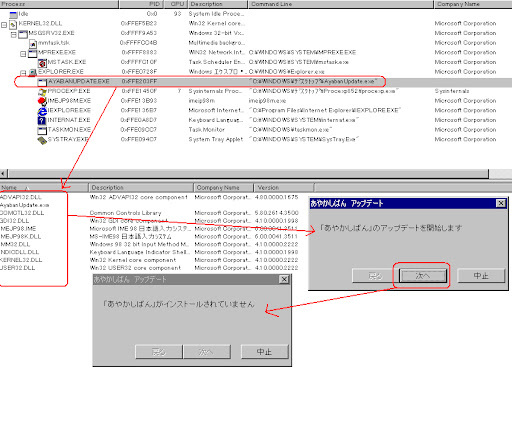 Disassembly the suspected malware "AyabanUpdate.exe"
These below calls maybe becoming the suspected factors, but some goodware I know also using it for the copyright protections..
*) basically I couldn't find the harmful code on it..
3. The Behavior Analysis of the suspected malware "AyabanUpdate.exe"
1. This program creates the popup with the messages: "The update of the Ayaban is started, press to continue..."
2. During the popup started first time, it loads the DLL needed to run it, and found activities for searching the installation of the previous versions.. The network activity of it, actually for most of the people who is not instaling the game WILL NOT FIND ANY network activity of it, below is the capture of the netstat command of BEFORE and AFTER program exited. Furthermore I checked the changes of the Windows registry, but no changes found, neither no file created or downloaded. Just in case of I missed somethimg, I made some reference scanning to many sites as per below results. These results is not showing the malware judgement significantly. At this moment (Tue Jun 14 13:06:29 JST 2011) AVG and AntiVir are the first ones who confirming this FP, and updated their database to correct the FP with the great response time. Respect! The Result in VT scanning now is changing from 27 /42 (64.3%) to 25/ 42 (59.5%) at this moment. Sadly, yesterday the FP sample has been removed from the reported malware URL on the ground of this misjudged as "malware". I got some requests from analyssts who would like to help and re-review the current sample. If you find and agree this is a FP please add your review and for those who claims malware please write YOUR REASON WHY (Yes, it is a challange!) in the Virus Total page and choose your checkpoint of GOODWARE or MALWARE , and will be greatly appreciated. Q: Why the CRC values od sample is different (actual and stated)? Q: Why there are some suspicious entropy detected during some quick analysis by sandbox? 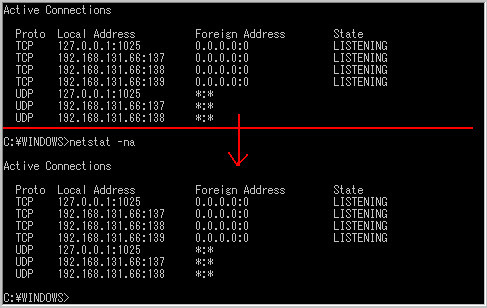 Q: Some blocking debugging calls detected at the below Address, why? A: Simply protecting the installer for disassembly, is a special feature bonus as in game software as an update, so the developers making it hard to crack, that's it. Q: What is the explanation of DEP Setting Change trace as below then? Q: Why there are so many FP consensus taken in this case then? A: Mostly the automation scan system is the first way the AV makers PIC checks the sample. So the binary analysis points above will be noted as suspicious. Furthermore if running into the sandbox(behavior checks), is a Japanese software, so no one can read well what is written in the interface, which was saying, "The update of the Ayaban is started, pls press next button to continue..."
Of course f you press the next button then the program will search for the main installation of the game to be patched. Which is mostly in foreign PC will not be detected, and will show up the other popup saying "Ayakashiban Game is not installed.. Pls press the End button".